According to BevReview.com, Pepsi is looking to cash in on consumer nostalgia for the days when soda was sweetened with sugar instead of high fructose corn syrup. The company is releasing an limited production run of “retro” Pepsi and Mountain Dew soda, sweetened with natural sugar as they were in the 60s and 70s. 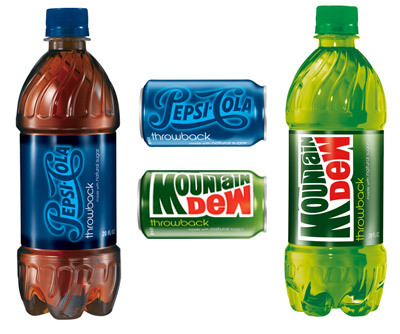 “Pepsi Throwback” and “Mountain Dew Throwback” should be available starting April 20th, and be available for around 8 weeks. Hopefully, the retro soda will be popular enough to bring back a more permanent supply.